Fred's Gardens - Fencing/Gates, Garden Services based in Sidcup, Kent. 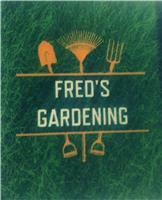 Fred's Gardening is based in Sidcup with over 20 years experience. We are passionate about what we do and take great pride in ensuring that we deliver what our customers want in friendly and professional manner.